Our Kindergarten program is designed to prepare our youngest students for their future in school in a loving, fun and nurturing environment. Social skills are practiced in the light of God’s Word helping children to know that they are a child of God and a family member in the body of Christ. While reading is taught using a phonics approach, children also learn to recognize the ‘sight-sounds’ of letters and use those skills to comprehend words, which is the basis of reading. A fully integrated approach to teaching is used and students are well prepared for first grade by the end of their kindergarten training. 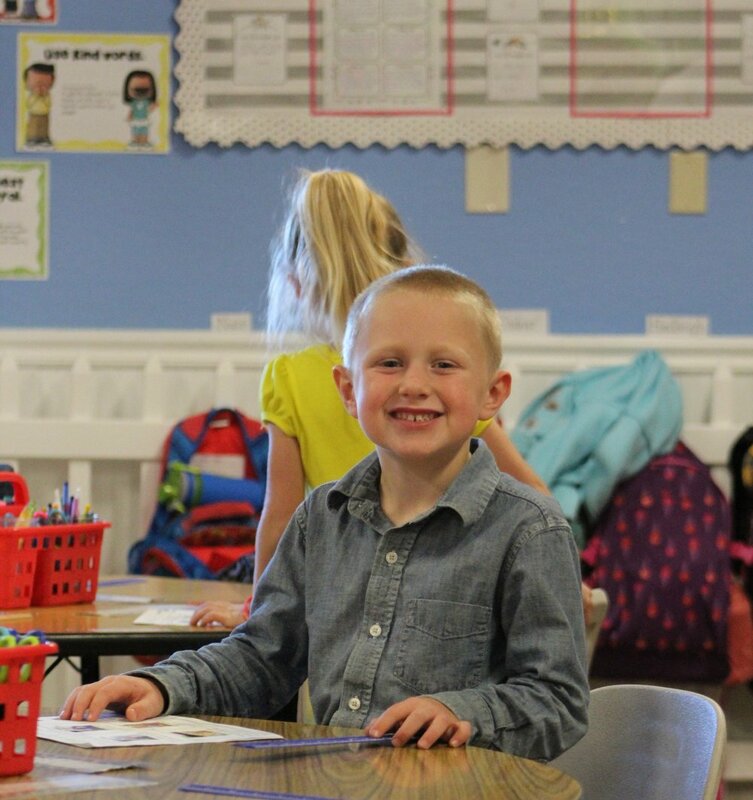 CCS offers a full day program, which allows both the academic and developmental aspects of kindergarten to be emphasized throughout the school day, giving each child a well-rounded kindergarten experience. Our kindergarteners also enjoy weekly kinder music, kinder library, and kinder Spanish adding to our “whole - child” approach to education. 1005 N. Oak Park Blvd.